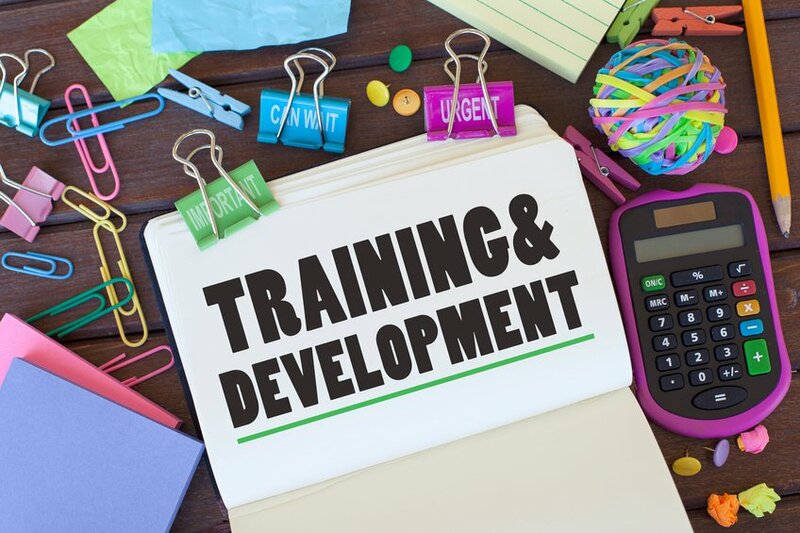 Training and development is a function of human resources that is aimed at improving the performance of individuals and groups within an organization. Training refers to a specific skill that an employee should learn to improve their performance. Development focuses on an employee’s long-term growth and future performance. Organizations should focus on training and development of employees to maintain a competitive edge, plan for succession, and because a strong professional development program can attract new employees. Training new and tenured employees boosts engagement and productivity, which leads to higher efficiency and less waste of resources. When an employee has not been properly trained he or she may struggle to get their work done. Additionally, an improperly trained employee’s errors or lack of productivity could negatively impact the work of other employees. Most people that learn something new want to share it. An employee that becomes skilled in a new area will often bring that information back to their co-workers. This gives many employees the opportunity to learn a new skill without having to be trained by the organization. Employees that expand their skillsets are able to taken on a greater variety of work and will be able to be more innovative. Where training is often focused on the needs of the organization, development is more focused to the individual employee. A development plan details a course of action that supports the employee’s career goals. Often times training is involved in a development plan, but it can also include other metrics like making 10 percent more sales or working with a group of employees to create a presentation. The goals should be written in a way that makes sense for the employee’s future career goals. One method for writing professional development objectives is to use the S.M.A.R.T. goals method. S.M.A.R.T. stands for specific, measurable, attainable, relevant, and time-bound. For example, as part of her professional development plan, an aspiring manager wants to improve her project management skills. One of her goals could be that she will oversee a medium-sized project (>5 employees) within the following six months and meet all benchmarks and deadlines with 100% accuracy. The goal is specific (will oversee a medium-sized project), it is measurable (meet all benchmarks and deadlines with 100% accuracy), it is attainable within the given time, it is relevant to improving her project management skills, and it is time-bound (six months). Some organizations may worry that investing in an employee’s development may lead them to seek employment elsewhere with their new skills. Of course, that could happen, but employee turn-over is bound to happen no matter how positive an organization’s culture is. While no organization wants to invest in an employee who may leave, this does not mean that every developed employee will leave or that there is not a benefit to the organization. There is an immense benefit to developing employees so when turn-over does occur, the organization can hire from within. Being able to hire from within saves the organization the headache of having to recruit new employees, adapt them to the organization’s culture, train them, and get them up to par with the productivity of the previous employee. When recruiting new employees organizations can pitch a strong training and development program as a benefit. Many people have a desire to go back to school or pay for training that will enhance their skill set, however, not everyone can afford to do so. Recruits view training and development as free education. Organizations should ask recruits questions related to the mission and vision of the organization and their own professional development goals. These questions will highlight individuals whose goals are well-aligned with the organization’s goals. It will also give interviewers an idea of who is willing to expand their skills and who prefers status quo. A good training and development program offers many benefits to organizations and their employees. Build training and development courses at a low cost to the organization by using Mindflash, a learning management system. With Mindflash organizations can create, host, track, and report on e-learning solutions aimed to advance employee skills and support training and development initiatives. Sign up for a free demonstration of Mindflash to see for yourself why it is trusted by Fortune 500 companies for their e-learning needs.